National Youth Leadership Training (NYLT) is an intensive, 2 weekend camp experience for upper rank Boy Scouts, Varsity Scouts, Venturers and Sea Scouts. Each participant works through a series of indoor and outdoor challenges with the mentoring of highly skilled youth staff members. Participants must attend both weekend in their entirety to complete the course. Participants are equipped with the basic skills necessary to become leaders in their Troops, Teams, Crews, and Ships. The skills learned at NYLT also carry over into their schools, communities, and future careers. NYLT is structured to represent a month in the life of a typical Scout unit. Participants will sleep in tents, prepare meals with their Patrols, and are expected to live by the Scout Oath and Law. Participants must have basic camping skills and the maturity to keep up with the fast pace. Scouts will be working with other Scouts in their Patrol to accomplish daily camping tasks and meet the challenges presented by the course. During this two weekend, 6-day outdoor event you will live as a member of a Patrol, practice skills of leadership, and learn how these skills apply in your role as a leader in your unit. The course is structured to reflect a typical month in the life of an ideal unit. It combines a series of classroom sessions with practical experience challenges that are designed to build upon each other. The course is presented by youth leaders under the direction of the Senior Patrol Leader. Participants must be 13 years old. 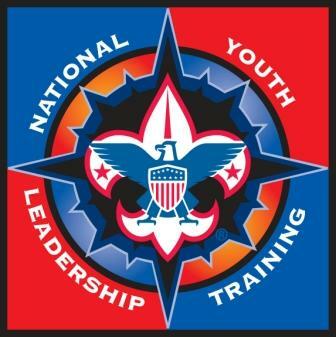 For 2019 only, an exception will be granted for girls registered in Scouts BSA to attend NYLT without first achieving the First Class rank; they must still meet age requirements and first attend Introduction to Leadership Skills for Troops (ILST.) This will allow new troops to have trained youth leaders. Girls who are registered Venturers and Sea Scouts do not need to achieve the First Class rank, but must attend Introduction to Leadership Skills for Crews (ILSC) prior to participating in NYLT. Participants need to bring their own tents and camping gear. Each Scout needs to bring their own tent and backpack for the overnight experience. Scouts will also be responsible for getting their own equipment from the parking lot to their assigned campsite. Meals will be a combination of prepared in the Patrol site and in the Dining Hall. Typically Scouts from the same unit are not assigned to the same Patrol. Participants should wear the official BSA uniform that is appropriate for their Scouting program. Each participant will receive a course hat, which is the only hat that will be allowed to be worn during the course. Each participant will also receive a course T-shirt. Additional course shirts may be purchased. Only shirts with Scout logos or no logo may be worn during the course. A graduation feast will be held on the second Sunday. Unit leaders and parents may register to attend the feast for a $5 fee. A graduation ceremony will be held following the feast. Total Cost -$250 if paid by May 31, 2019. $275 after May 31.